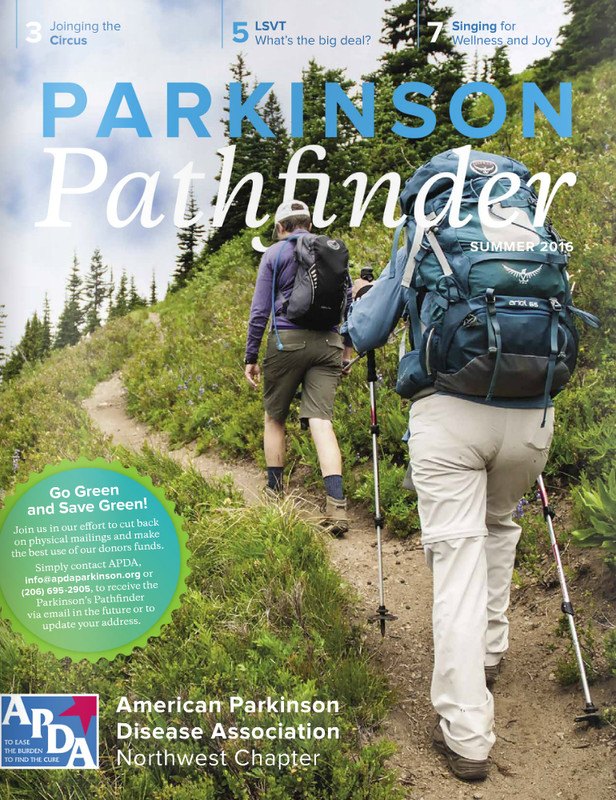 Here is a sneak peak of the quarterly Parkinson’s Pathfinder magazine produced by the Northwest chapter of the American Parkinson’s disease Association (APDA), which will go to over 5,000 people and stacks to most every movement disorder clinic. People will be receiving it in their mail soon. Here is the link to the magazine: https://issuu.com/wa-apda/docs/parkinsonpathfinder_summer16_web. I think the story on page 9 and photos turned out great about our Pass To Pass hike, and was so thrilled to see the cover with Patty Harrold, of our hike team, and trail angel, Sally Friedman hiking up Crystal peak in Mt. Rainier National Park.